Place bread on baking sheet and bake in 300° oven for 6 minutes, flip and repeat. Remove from sheet and cool 5 minutes. Lower oven temperature to 200°. Whisk together milk, eggs, sugar and cinnamon, butter and vanilla in a large bowl until well combined. Pour into large baking pan, add bread and soak in mixture approximately 15-20 seconds per side. Melt a bit of butter in a skillet over medium-low heat. Add soaked bread to skillet and cook until golden brown, about 3-4 minutes per side. Place cooked French Toast on baking sheet and keep warm in 200° oven until all are done. 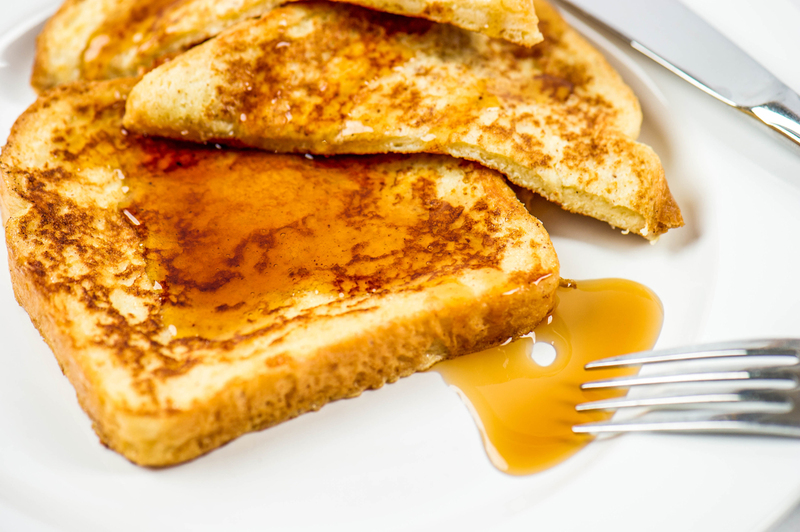 Serve warm with butter, powdered sugar and your favorite syrup.